At London and Kent Construction Ltd, there aren’t many projects that we haven’t done! From new builds to conversions, from full refurbishments to basement and loft conversions, over the past twenty years we have been proud to serve local businesses and residents. 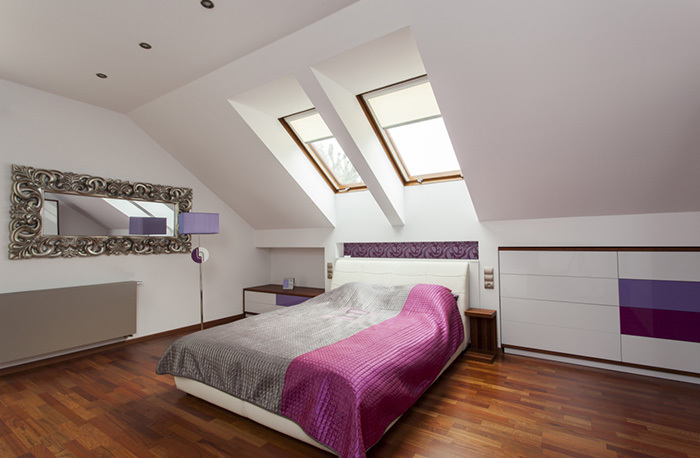 Our loft conversion services give our customers the best of both worlds. They get the high standard, personal service that is usually expected from small, local builders, as well as all of the benefits of choosing a larger loft conversion company. Our team of tradesmen and women includes skilled traders across all disciplines, including carpenters, plasterers, electricians and plumbers. This means that we can quote for and do the job quickly, efficiently and to an exceptional standard: you don’t have to wait around for other traders or suffer the stress of trying to coordinate different traders when the timings go awry! The result isn’t just better value for money and less stress: our traders are used to working as a team, so they make sure that everything is done to London and Kent Ltd.’s high standards. If you have a gently sloping roof, it is likely that you will be able to have a loft conversion without a dormer roof. Dormer roofs are needed to add extra head height for conversions of lofts with steeply sloping roofs; customers can choose from a flat or gabled dormer roof, depending on the aesthetics and the amount of additional height that they need. 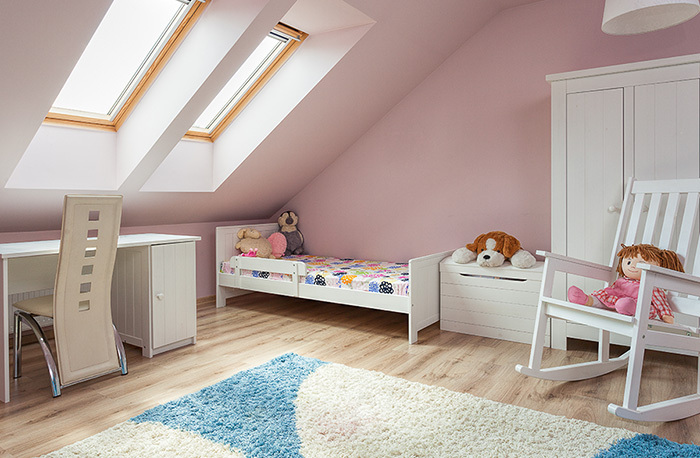 Loft conversions without a dormer roof are relatively simple but, depending on the size, height and the use of your loft conversion, you may need to apply for planning permission and the conversion will need to comply with Building Regulations. Our specialist loft conversion contractors will be able to talk you through the process and make sure that your conversion is compliant with any necessary regulations. In doing this, we will help you to protect your investment, preventing complications in the future, helping to increase the value of the property and making it easier for you to sell your home in the future. We take great care over every project and our loft conversion specialists are there to help you through every step of the process, from the original design to the finishing touches. We take the time to understand what you want to get from your loft conversion and, unlike many mainstream loft conversion companies, we will come up with bespoke solutions to make your conversion suit your needs. The case study below features a loft conversion we did for a mid-terrace property. Because of the angle of the roof, a dormer roof was not necessary. The customer wanted to add a bedroom with en suite bathroom. 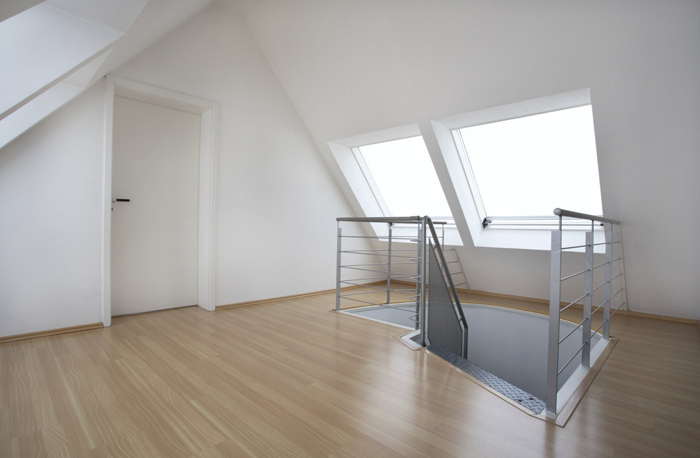 We fitted a staircase and landing skylight to provide plenty of natural lighting. The bathroom fixtures and fittings were fitted by our team of plumbers and electricians, who made sure that the standard remained high throughout. One of our loft conversion specialists came up with the idea of building wardrobes across the middle of the two rooms, with the en suite behind them so that when the centre doors were shut, you would never have known there was a bathroom up there. This was a great space-saving solution, adding plenty of storage without cluttering the new rooms or taking away precious space. The customer was delighted with the results and are very proud of their new bedroom complete with fitted wardrobes and “secret” bathroom!